Select the pencil icon next to the section title to edit. Alternatively click on the section text itself to edit. Next to the section title of the section you want to copy, click on the duplicate icon. You will notified that the section has been duplicated. You will also be able to click on the button to "Go to the section". 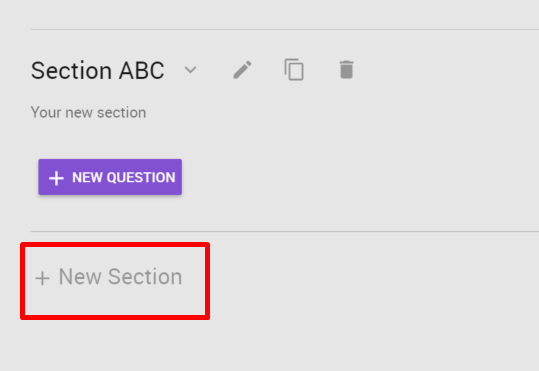 The newly duplicated section will be added at the end of the assessment. The duplicated section will be appended with the word "(copy)".